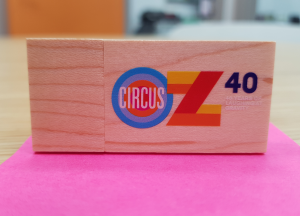 Circus Oz - 40th Anniversary USBs - iusb - Promotional USBs like no other. - iusb - Promotional USBs like no other. 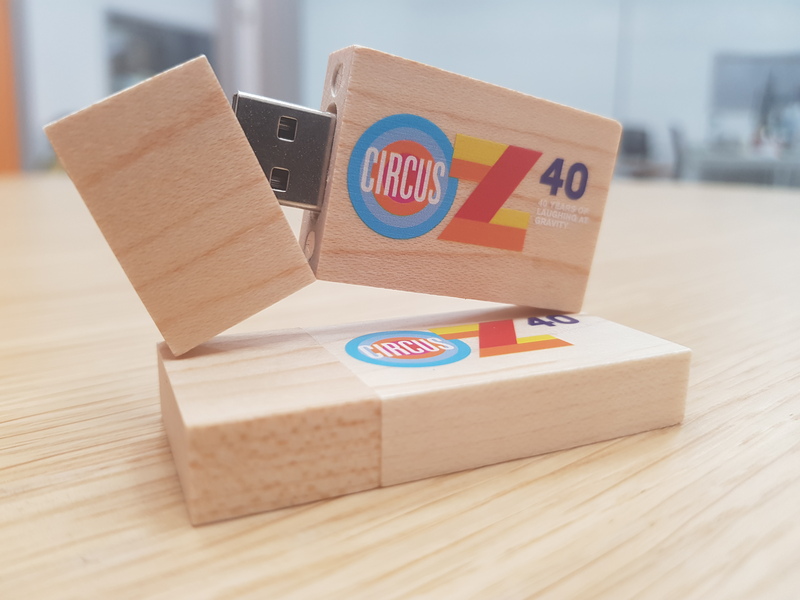 It was great to work with such an iconic Australian company such as Circus OZ to help them with their Promotional USBs. They decided to go for a Wooden style USB, which works great with their company profile, with a full-colour print of the surface of the USB with a special 40th-anniversary logo. The USB look great and will be sent all around Australia.